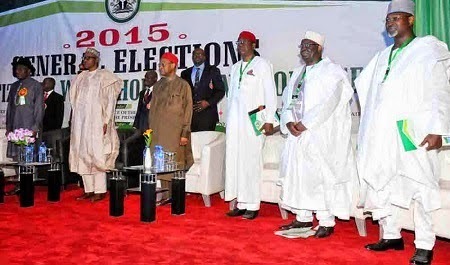 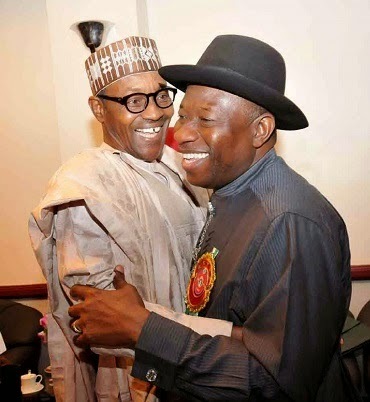 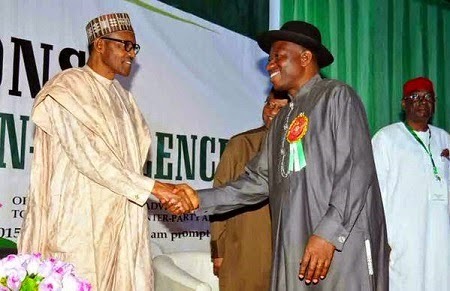 On Wednesday morning in Abuja, GEJ and Buhari met face to face for the first time since they launched their individual campaign for 2015 President election. 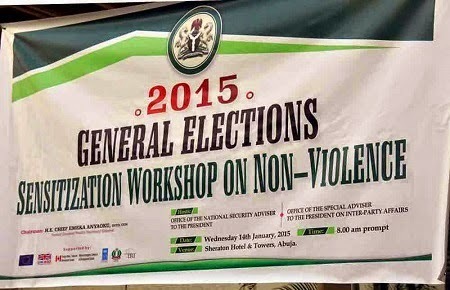 These photos were taken at the recently concluded Sensitization Workshop to enforce violence-free election. 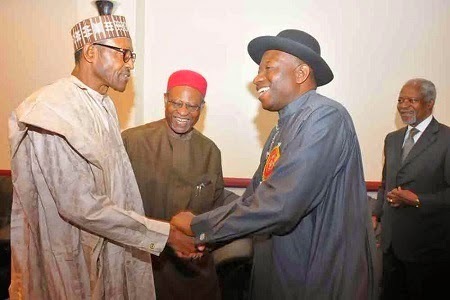 Spotted at the event were Ghanaian diplomat Kofi Annan, Chief Oyegun, Anyaoku, Muazu, and many others.